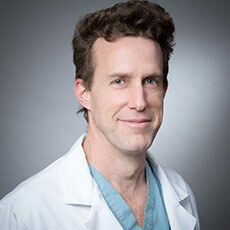 James Meyer, MD graduated from Tufts Medical School in 2001 and completed his radiology residency there in 2006. He was an interventional radiology fellow at Brigham and Women’s Hospital prior to joining L&M Radiology. His special interests include treating peripheral arterial and venous disease, uterine fibroid embolization, dialysis access management and kyphoplasty. He is director of Interventional Radiology for our practice. Dr. Meyer lives in Gloucester with his wife and three children.